Marathon of Sport wants to raise $175,000 in Vancouver and $1,700,000 at events across Canada in support of the Special Olympics Canada Foundation. We need your help! On June 1, we are participating in an all-day fundraiser called the motionball Marathon of Sport presented by Hootsuite. All funds raised at the event are donated to the Special Olympics Canada Foundation. Throughout the day, our team will be competing in a variety of sports alongside local Special Olympics athletes like Taylor. Marathon of Sport Vancouver is part of a larger national movement called motionball for Special Olympics, a non-profit organization that empowers young Canadians to be leaders in their communities, raising funds and awareness for Special Olympics so that individuals with intellectual disabilities can lead happier, healthier lives. Special Olympics provides opportunities for over 47,000 Canadians with intellectual disabilities to experience the transformative power of sport. 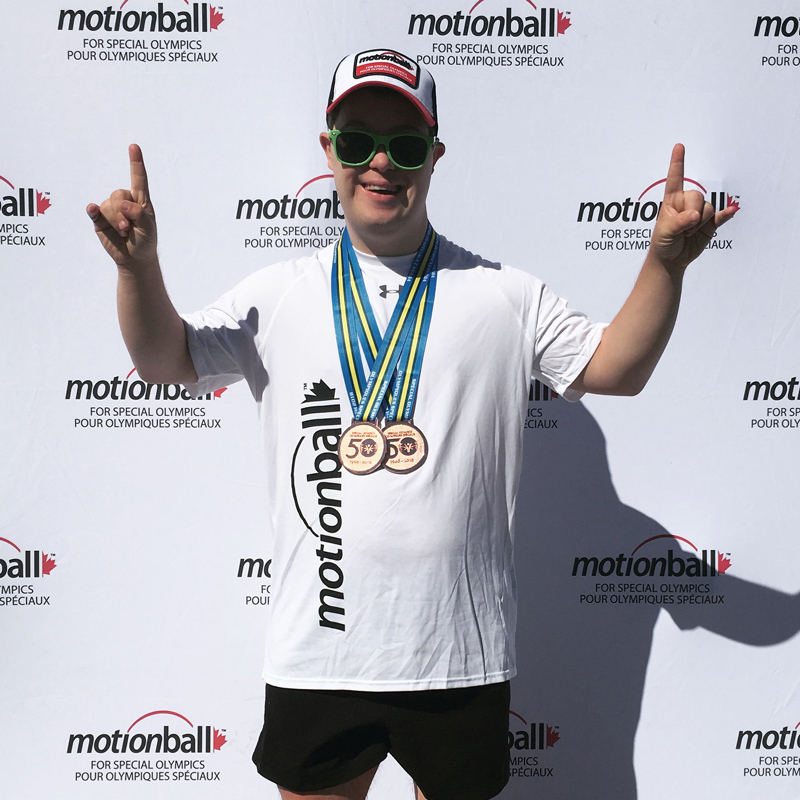 Today, motionball proudly hosts over 40 events across Canada and has delivered over $10.8 million to the Special Olympics Canada Foundation!